Yesterday was earth day. I felt it was right to celebrate it, even though Mother Nature is currently sending all the pollen to destroy me with itchy eyes. Side note: if you see me out, no, I didn’t eat any special brownies for breakfast. It’s just allergies. 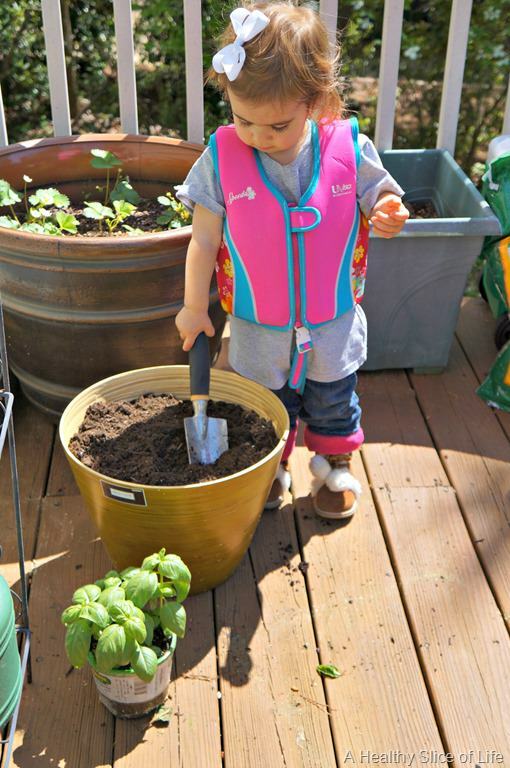 Hailey and I celebrated the day by planting some herbs, a pepper plant and tending to the strawberries on the back deck. Yes, she picked out her outfit again. Boots and life jacket. She gets her fashion sense from me. Poor girl. Between planting and a bike ride, I had enough pollen for the day, so I decided to spend some time indoors playing in the kitchen. I’m so glad I did. If you didn’t notice, I get stuck on a salad dressing and don’t switch it up. Like, ever. For months now it’s been Newman’s Own Organic Balsamic Vinaigrette. It’s really delicious, but yesterday I was ready for something new. I dreamed of Japanese steakhouse ginger dressing, then decided to make my own dreams come true. Carrot water is an interesting ingredient, huh? It’s easy. Peel and cut your carrots into slices. Bring 1-2 inches of water to boil in a pot. 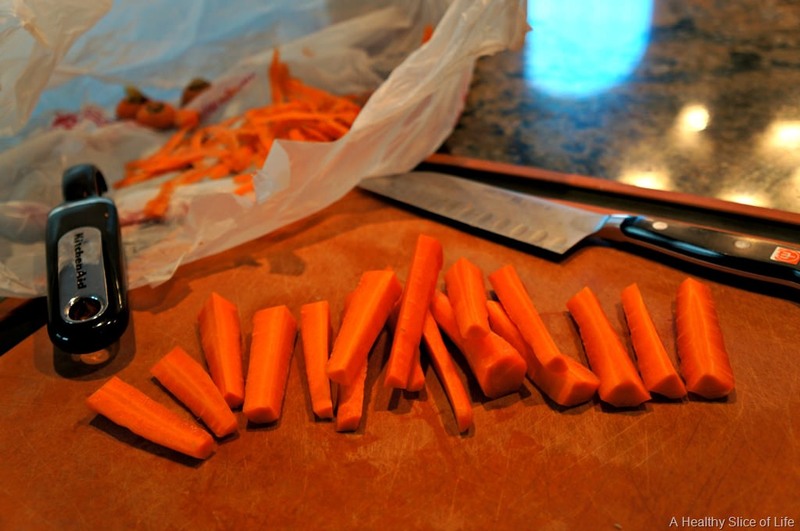 Place steamer tray over water and add carrots. Reduce to medium heat and steam for 5-10 minutes, or until soft. Don’t throw out the water. 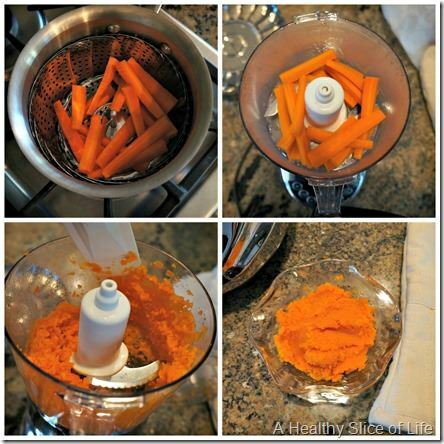 Add carrots to food processor with 1-2 Tbsp of reserved water from steaming and puree until smooth, scraping down the sides as necessary. Add all the ingredients to a mason jar. Shake vigorously, then serve. The flavor is vibrant. Gingery, garlicky and reminiscent of my favorite ginger dressing from Mount Fuji (the Japanese steakhouse I grew up with). I also think it would make an excellent marinade for salmon. 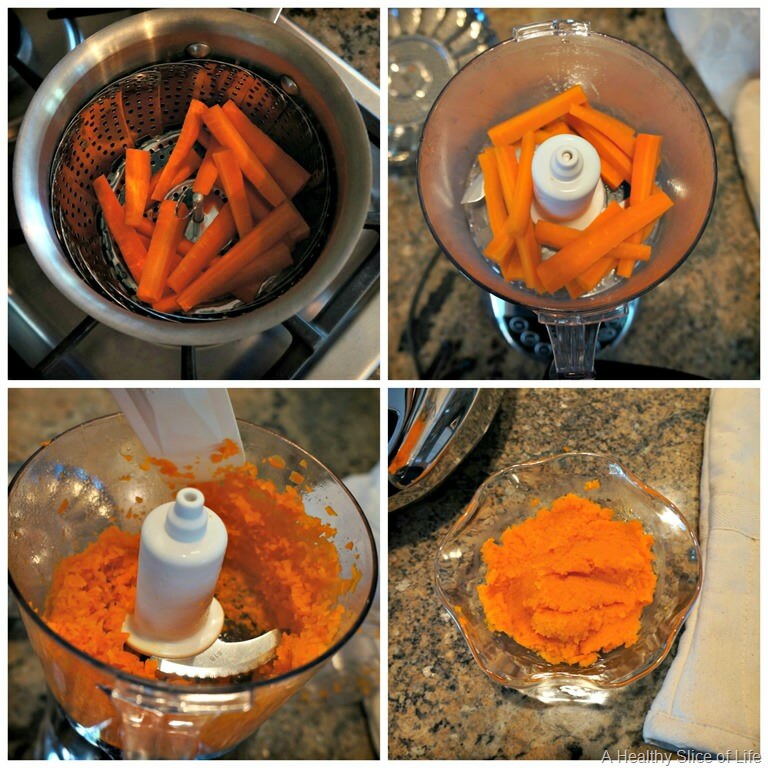 You’ll have leftover carrot puree. Go wild. Add it to muffins, pancakes or marinara. Serve it to your toddler. Rejoice in the hidden extra veggies. …did you even know it was Earth Day? I ALWAYS order the starter salad at Japanese restaurants – and only because of the ginger dressing. This sounds like it’s pretty similar. Excited to try it out! 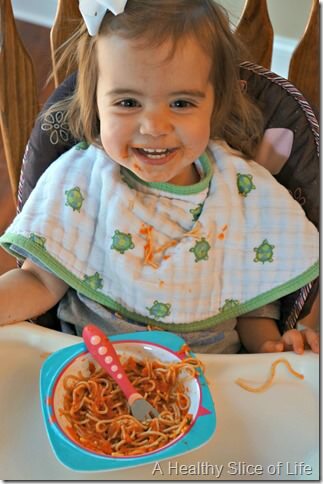 Ok, making this SOON! We took a walk yesterday & ate lots of yummy veggies in honor of earth day! I also started the no-shampoo thing… I’m nervous! Pollen can be so unpleasant. 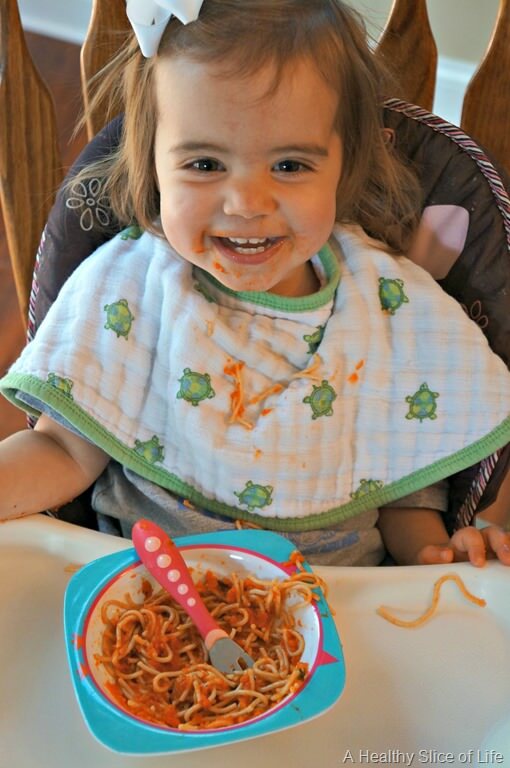 Love that meal you have served your little one. I too would enjoy something like that. Very healthy too. Haha! 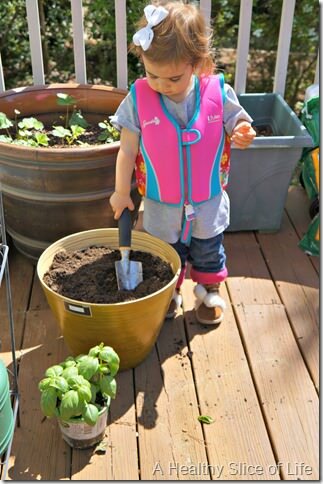 I love that she picked the life jacket! So cute. 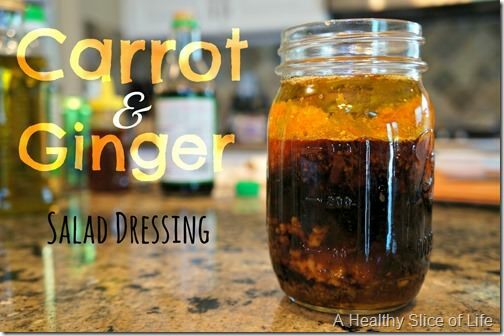 This dressing is a great idea too! Sounds yummy! I had no idea that you could buy ginger like that! I so want to cheat, too! Once I found it, I never turned back. It’s more expensive, of course- $3 I think? But it took me forever to grate ginger! 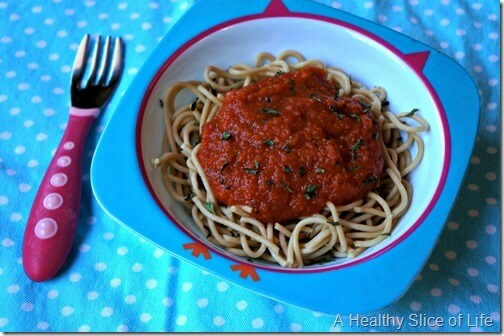 Cannot wait try that dressing and I love adding carrots to marinara!! 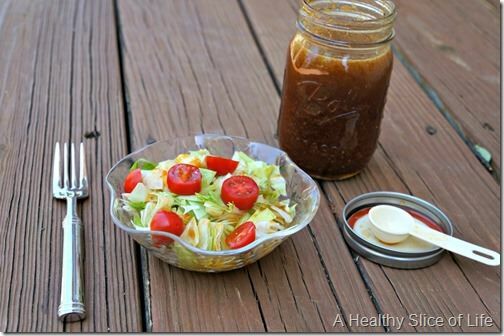 That dressing looks amazing – I’ll definitely be making it soon! OK, so the BEST Ginger Carrot Dressing I’ve ever had was not in any sort of Asian establishment, although the restaurant’s menu did have many internationally inspired dishes. I have been dreaming about it since I had it in Louisville, and been wanting to recreate it. 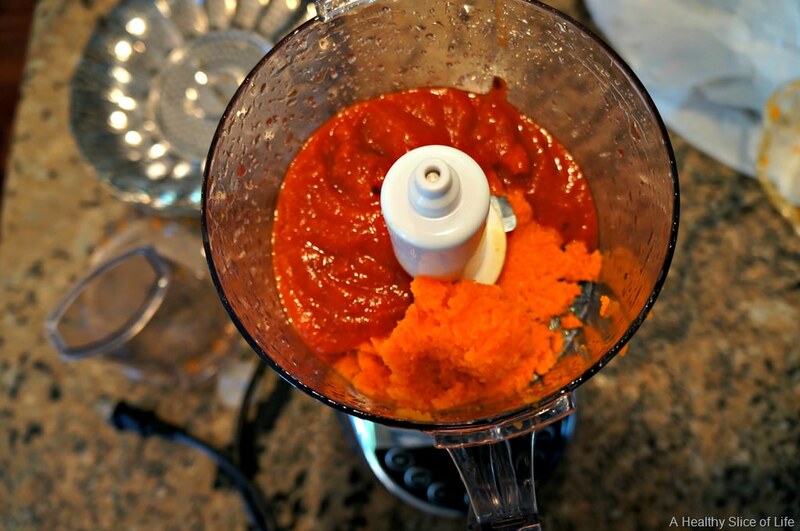 It was literally like 85% carrot puree and 15% fresh ginger. That can’t be too hard, right? Hailey is just too stinking cute!! We celebrated by playing outside all day long and hugging some trees…ha-ha. 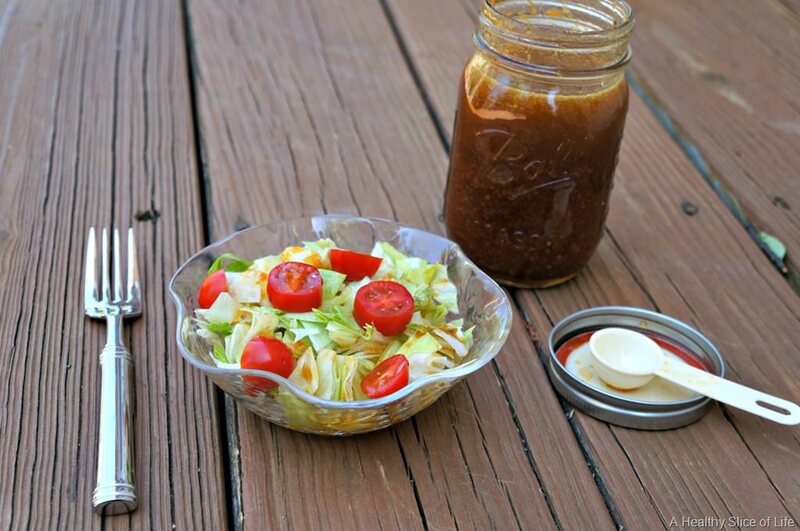 I have never made dressing either… it’s on my list of summer things to make. I’m getting used to just eating a salad…without loaded with ranch and croutons. I bet she won’t want to wear that life jacket when she’s say 10 years old. haha. This dressing sounds so good! I love the asian dressing they have at one of the restaurants we go to and I think its because of the ginger. I didn’t know it was earth day until I saw it on blogs and twitter but I did carpool to my grad class as I always do. I always get excited when I see a recipe here! Love the idea of carrots in the dressing. I made this tonight and was SO excited for it. I halved the soy sauce and used brown rice syrup instead of honey, since it was all I had. It tasted GREAT…for a moment. No ginger left. Crying in my salad tonight. But I WILL make it again! The bit I tasted was awesome. And now I’m googling brown rice syrup- sounds neat!! 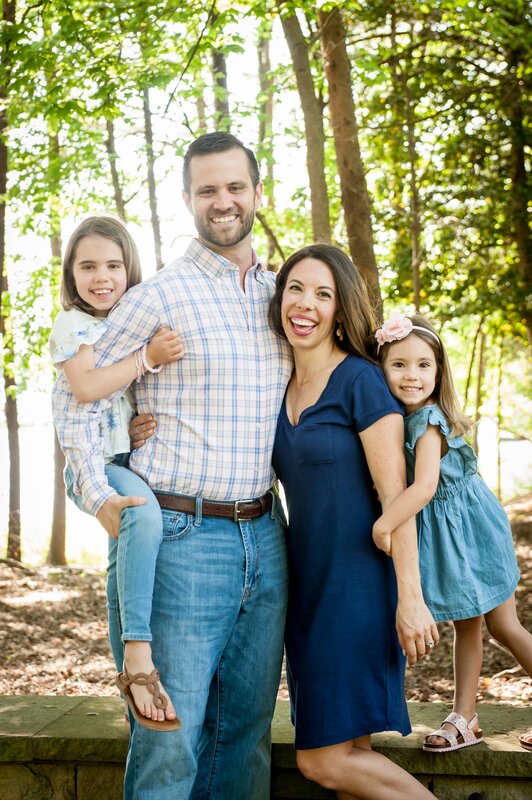 If you see this- I’m looking at becoming a health coach but trying to decide between the Institute of Integrative Nutrition and the Dr. Sears program. Know anything about them? I definitely know about both programs, but not enough to offer any valuable insight. I looked into IN to go to myself a few years ago, but it never panned out. Dr. Sears is a respectable name, so I don’t think you could go wrong with either. Let me know what you decide! As a MAJOR carrot lover, I must say that this sounds super delicious! Wow. 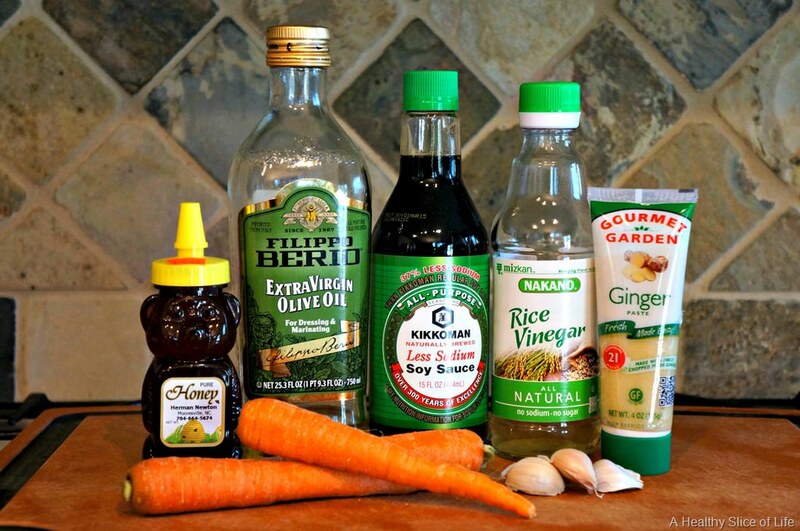 You just inspired me to make this dressing for next week’s salad. It looks and sounds incredible! Thanks for sharing!